Bad breath can be embarrassing. We’ve all had days when we order lunch without considering the effect it might have on that 1 p.m. meeting or notice a strange taste after waking up from a long nap. But what if the odor never goes away? In its most common form, bad breath happens when you eat foods with a strong odor. Digestion and the breakdown of food start in the mouth, so particles are left behind until the food has passed through your whole body. For this reason, no amount of mouthwash or mints can actually remove the odor. Instead, those will just mask it temporarily. “The connection between food we eat, our digestive system and how our breath smells is helpful when we try to understand other medical causes for halitosis,” says Dr. Wazir. Cavities, poor fillings, crowns – oh my! 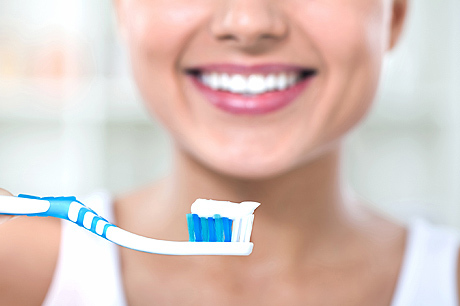 Having dental issues that require attention, or simply the arrangement or condition of your teeth, can allow food particles to become impacted in spaces which are hard to reach with a toothbrush. As we all know, food left in a warm place for a long period of time can begin to smell bad. The same thing happens with food particles that become lodged in cavities for several days. Unfortunately, normal toothbrushing can’t remove food from these crevices. A visit to the dentist may be mandatory for treating this type of halitosis. When it comes to bad breath not caused by food, there are a few suspects. Gum disease is an infection inside the mouth caused by bad oral hygiene, smoking or hormonal imbalances, among other things. Both types can lead to tooth decay and loss, as well as the decay of your alveolar bone. If you notice bleeding or inflammation in your gums and persistent pain, you should make a note to speak to your dentist. But if you notice unexplained bad breath, tooth decay or movement in the teeth, you should seek help from a dentist right away to prevent permanent damage. Ketoacidosis occurs when a person with diabetes experiences dangerously low insulin levels and their body is forced to use fat stores for energy. As that fat is broken down, ketones—a potentially-poisonous chemical with a distinctive odor—are produced, which may lead to bad breath. 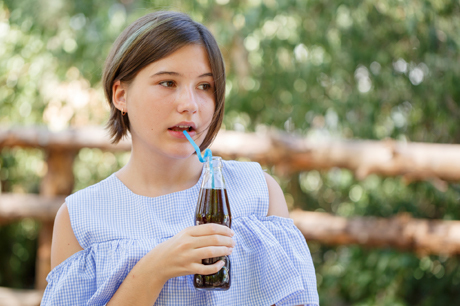 “If you are managing diabetes and experience unexplained bad breath along with dizziness, fatigue, abdominal pain or confusion, you could be suffering from ketoacidosis and should see a doctor immediately,” explains Dr. Wazir. Gastroesophageal reflux disease (GERD) is a chronic condition marked by persistent acid reflux, or the rise of stomach acid in the esophagus. The misplaced stomach acid may be the cause for unexplained bad breath but is often paired with other symptoms. “GERD can cause permanent tissue damage in the esophagus and should be treated with medication,” says Dr. Wazir. “Other symptoms include heartburn, nausea, vomiting, and difficulty or pain with swallowing. Additionally, repeated acid reflux can erode the enamel and hard tissues of the teeth, subsequently causing crevices and slight spaces where food can become lodged. Many people experience periodic gastroesophageal reflux (GER), but it is usually situational and will go away with treatment. If you are experiencing chronic acid reflux, be sure to speak to your doctor. Most serious causes of unexplained bad breath are paired with more serious symptoms, making the conditions hard to overlook. However, it’s important to maintain good overall gum health to keep teeth and bones strong and healthy. Those close to you will thank you. The dentist’s office is the best place to start your journey to better breath. After establishing good oral hygiene and routine exams, additional treatment may be needed to address issues such as tooth decay, gum disease or infection. Geisinger’s Oral and Maxillofacial Surgeons specialize in treating conditions that affect the jaws or face, including dental implants, dental and soft tissue surgery and wisdom teeth management, among other treatment options. To make an appointment with an oral and maxillofacial surgeon, click here.